Contents: Strategic Form Games; Nonequilibrium Solution Concepts; Nash Equilibrium; Extensive-form Games; Repeated Games; Bayesian Games. 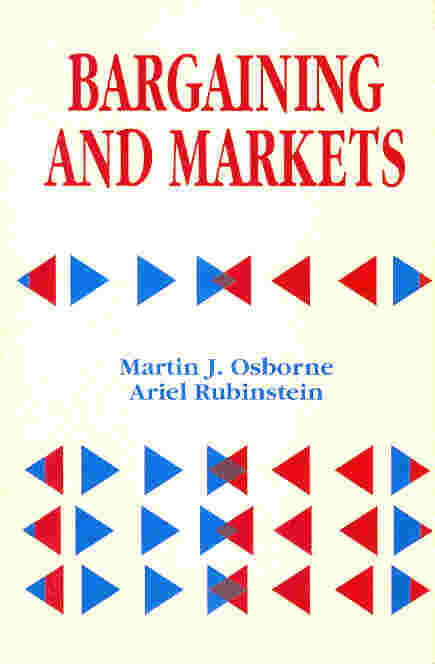 Contents: Markets and Games; Perfect Competition; Continuity; Bounded Rationality; Afterthoughts. The formal theory of bargaining originated with John Nash’s work in the early 1950s. 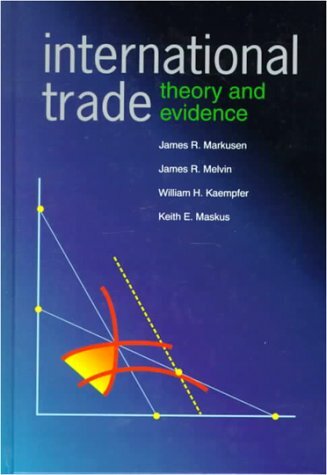 In this book we discuss two recent developments in this theory. The first uses the tool of extensive games to con . . . . . Contents: The Basics of Contractual Screening; The Two-Type Screening Model; General Screening Framework; The Standard Framework; The Hidden-Knowledge Model. Contents: The Moral-Hazard Setting; Basic Two-Action Model; General formal setting; The Finite Model; Continuous Action Space. A course in game theory by Martin J. Osborne and Ariel Rubinstein is published by MIT Press (which maintains a page about the book). The book presents the main ideas of game theory at a level suitable . . . . . Contents: Choice Under Uncertainty; Correlated Equilibria in Static Games; Nash Equilibria in Static Games; Extensive Form Games: The Basics and Dominance Arguments; Mathematics for Game Theory; Repea . . . . .
Contentss: Overview; A Choice Structure Approach to Consumer Demand; A Preference Based Approach to Consumer Demand; Problems with Aggregation; Producer Theory; Choice Under Uncertainty; Game Theory. . . . . . Contents: Value at Risk; Credit Risk; Implied Volatility; Econometrics. Econophysics is a new area developed recently by the cooperation between economists, mathematicians and physicists. It’s not a tool to predict future prices of stocks and exchange rates. It applies . . . . . This article contains the lecture notes for the short course Introduction to Econophysics, delivered at the II Brazilian School on Statistical Mechanics, held in SÜao Carlos, Brazil, in February 200 . . . . .